Following appointments at the Port Elizabeth Museum (Marine Biologist), Rhodes University (Associate Professor) and Australian Maritime College (Head of the Faculty of Fisheries and Marine Environment), I joined the University of Tasmania as inaugural Director of the Tasmanian Aquaculture and Fisheries Institute. 1987-1989: Lecturer, Department of Ichthyology and Fisheries Science (DIFS), Rhodes University. 1990 1993: Senior Lecturer, DIFS (1993 acting Head of Department). 1996: Senior Lecturer and Post Graduate Course Co-ordinator, Faculty of Fisheries & Environment at the Australian Maritime College FM&E - AMC. 1996-1998: Director, FM&E - AMC. 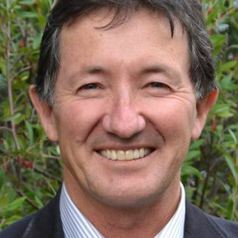 1998-2010: Director and Professor, Tasmanian Aquaculture and Fisheries Institute (TAFI), University of Tasmania.